At first glance the film is a visual splendour with stunning images, an amiable and competent cast. 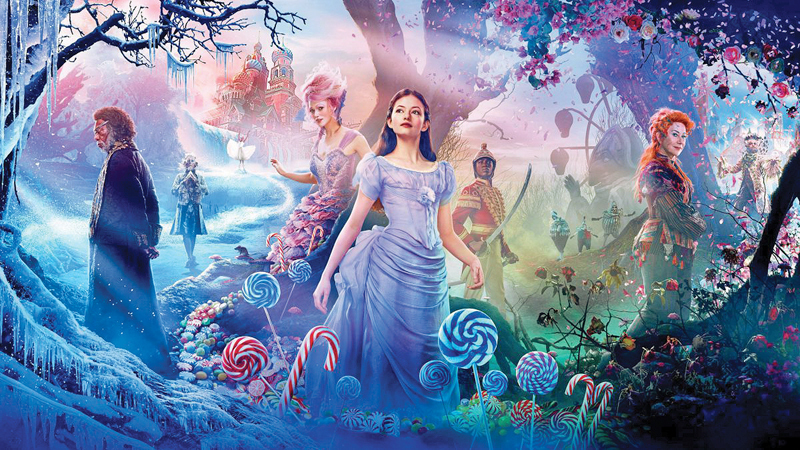 It is evident that the director and his team has spared no expenses in the making of Walt Disney Pictures’ latest fantast tale, ‘The Nutcracker and the Four Realms’ which was released towards November targeting the film buffs for the Christmas holidays. However unlike the ballet from which it has borrowed a part of its name and inspiration, Lasse Hallstrom and Joe Johnston’s movie hardly encompasses any values. Based on the story of a girl who is unaware of her origins as a princess the story follows the pattern of bringing toys to life and extravagant costumes on display. 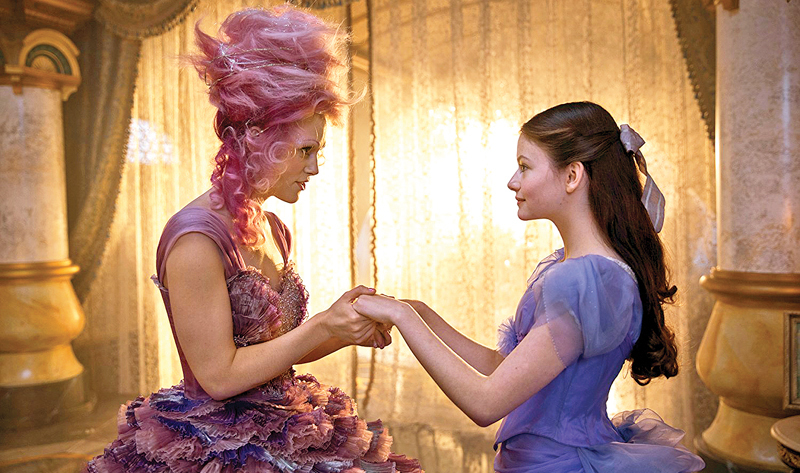 However despite having all the features that are required of a classic fairytale, ‘The Nutcracker And The Four Realms’ holds little logic and seems to be a product out of nightmares rather than from the magical kingdom of fantasy. Clara Stahlbaum is a girl from the Victorian era. Unlike the typical girls of her era, Clara is into mechanical tools and loves to solve puzzles. On Christmas Eve, when her deceased mother leaves her an ornate egg that needs to be unlocked, she's baffled that it came without a key. So she sets out to ask her godfather Drosselmeyer about this mysterious gift. Her quest to find the key leads her to a fantasy world where the Land of Sweets, Land of Snowflakes, and Land of Flowers have banished Mother for her treacherous actions. Clara is suddenly at the center of the action in which she needs to restore peace and harmony across the Four Realms. A drawback of the film is that it is way too predictable. Even before Clara is pronounced as the heir to her mother’s throne we are able to guess the route of her mission. There is too much of dialogues involved in the tale that the characters’ constant blabbering is a headache rather than a means for the viewers to follow the story. Even though the cast boasts of multiple Academy Award winners Morgan Freeman and Helen Mirren as well as the fiery Keira Knightley their efforts to add any life to the tale falls flat on their faces. Keira’s Sugar Plum tries to liven up the situation but ends up being sickeningly sweet. Mackenzie Foy needs to be credited for putting much effort inn trying to portray a spirited Clara but her lengthy dialogues weighs down heavily on her and hinders her performance. The most interesting and innovative piece in the story is probably the CGI-rendered mouse. Other than that the movie is just not up to Disney standards as it is devoid of suspense and thrills.